Japan's economy was a huge success story in the past, and today the country is wealthy, healthy, and the aging population continues to reap the benefits of such hard work and prosperity. However, in recent decades economic growth has been non-existent, debt has accumulated, the population has begun to shrink due to low birth rates and low immigration, and so the central bank has turned to a variety of experimental strategies to try to revive the economy. Japan's stock market still hasn't recovered from the high point it reached three decades ago. Additionally, since the mid-90’s, Japan's GDP has been flat with no growth, low inflation, and zero or near-zero interest rates. The Bank of Japan has been on boarding an aggressive money-printing plan to increase inflation and revive the economy since 2013. As a result, the size of their balance sheet has quintupled in a little over five years and is still growing. 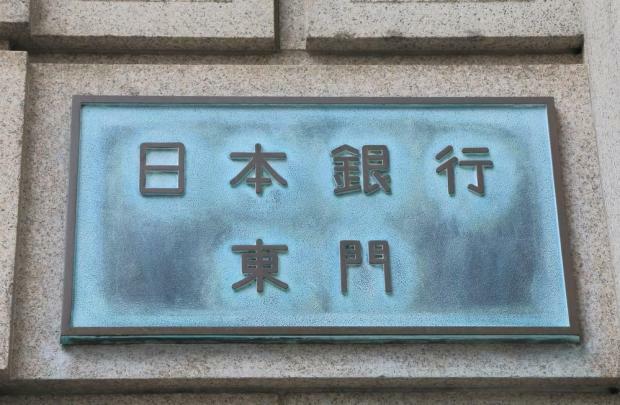 The central bank is mainly buying Japanese government bonds. Since Japan has sovereign debt equal to over 200 percent of GDP (the highest in the world), they depend on zero or near-zero interest rates for the budget not to break. In fact, the Japanese government keeps issuing a ton of bonds to fund its debt and deficit, and Japan's central bank is printing money to buy a lot of those bonds and keep them on its balance sheet. Additionally, the Bank of Japan is also buying equities, and is now one of the top shareholders in 40 percent of Japanese companies. Instinctively, this would seem unmaintainable. The practice of money creation may have a useful role to play in various economic scenarios to fix certain problems, but Japan has been pushing it for far long. The Bank of Japan's balance sheet is huge and growing relative to the size of Japan's flat GDP, and has reached a point where it is now larger than its GDP. The thing about having zero or near-zero interest rates as well as quantitative easing for a long time is that it is hard to reverse this policy even if policymakers want to. Japan now has a massive government debt and anything other than near-zero rates on its bonds would likely break the fiscal budget. Additionally, in Japan, there is a rise in companies that just make enough money to sustain their debt interest and nothing else. They are companies that would be dead if not for near-zero rates, and they steal productivity from the rest of the economy. Long-term low interest rates allow high levels of debt to build up, are hard to unwind, and can extract productivity or growth from an economy. Furthermore, when debt reaches a high enough level and growth slows down due to demographic realities, positive real interest rates would break the fiscal budget and corporate budgets, meaning that it's hard to fathom how anything other than low interest rates and more money-printing can exist, which locks the economy into this state of affairs. How long will it hold? This article was issued by Maria Fenech, investment management support officer at Calamatta Cuschieri. For more information visit, www.cc.com.mt . The information, view and opinions provided in this article are being provided solely for educational and informational purposes and should not be construed as investment advice, advice concerning particular investments or investment decisions, or tax or legal advice.